APHA 2016 , the American Public Health Association’s annual meeting, brings together over 12,000 people from the U.S. and around the world for conversations about public health initiatives. For the HIV.gov team, those conversations also present an opportunity to highlight the ways in which digital tools can help our public health colleagues amplify their work and extend its reach, as well as, find new partners in the HIV response - especially for communities of color. That’s why we team up with APHA to offer the Social Media Lab. What is the APHA Social Media Lab? The Lab is a friendly space to ask questions about anything that interests you--from how to set up an Instagram account and create lively images to understanding social analytics and creating a social media strategy. Our goal is to spark a conversation that will help you improve your outreach to your audiences, get your messages across, and measure your success. (Curious? Watch the lab in action in this APHA 2014 video). When: Monday, October 31, and Tuesday, November 1, 10:00 A.M - 5:00 P.M.
How: Book your slot here or walk in. Within the Social Media Lab, we will host 10 minute sessions about topics that we are frequently asked about. Check out which sessions you’d like to attend. More people, more conversations: #APHA2016 is the largest gathering of public health professionals in the country. It provides a great opportunity for conference attendees to receive tailored social media training--no matter where you’re from or what health arena you cover. A starting point: The conversations we start in the APHA Social Media Lab are just the beginning. We can continue to support and advance your social media efforts via Virtual Office Hours - our free, phone-based sessions. We’re here to help each Tuesday and Thursday from 2:00-4:00 p.m. (ET). All you have to do is sign up! Working Together: We value collaborations. By teaming up with APHA to offer the Lab, we can offer all conference attendees this unique in-person service. And we get an opportunity to learn from those already using digital tools in their communities. 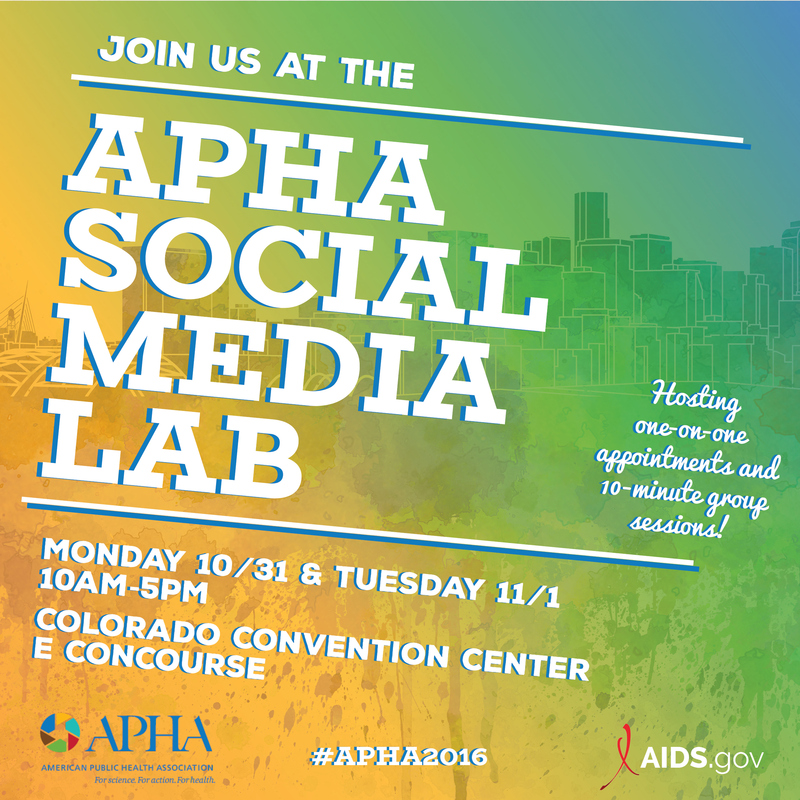 Have questions about using social media for your work and coming to #APHA2016? Sign up for Virtual Office Hours, tweet us, or send us a Facebook message.